Hi, my name is Amol Saxena. 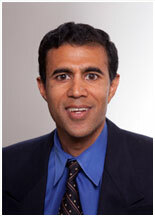 I’m a Podiatrist specializing in Sports Medicine and Surgery at the Palo Alto Medical Foundation. I’ve been in practice since 1989, and joined the Dept. of Sports Medicine in 1993. In addition, I’ve been a runner since 1972, having the fortune or misfortune, (depending how you look at it) to have many of the injuries I currently treat. In fact, I became interested in sports medicine due to my experiences being a patient here at the clinic, as I grew up in Palo Alto and went to Gunn High School. I subsequently became interested in podiatry while being treated as a college runner at Washington University in St. Louis. (Podiatrists were getting runners back running, not telling them to stop!) 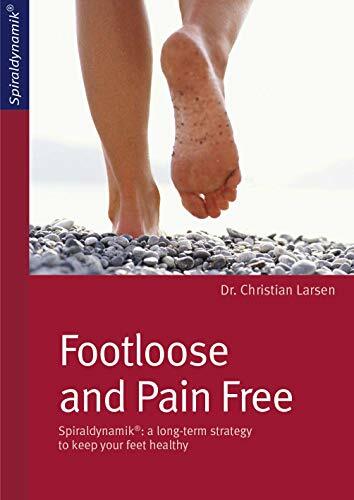 I went to podiatry school at Scholl College and did my residency in Chicago, (there are nine schools, and the coursework takes four years - similar to Medical School). My philosophy is to get people back to their desired activities or sports as soon as possible. Most of the problems I see can be treated with conservative treatment such as sound wave therapy (my experience with ESWT use in foot and ankle), physical therapy, foot orthoses, and modification of activity. I also perform foot and ankle surgery when needed. Most of the time, surgery can be performed on an out-patient basis, and is quite successful. I see a wide variety of age groups, pediatrics to geriatrics, and will see almost anyone who wants to get better. We have a wide variety of specialists here, and I whole-heartedly support the team approach. My orthopedic surgery colleagues in my department Frank Chen, Colin Eakin and Warren King specialize in arthroscopic knee, elbow and shoulder reconstruction, while our pediatric sports medicine specialist, Sally Harris sees a wide variety of sports injuries in kids as well. I enjoy research and teaching (you may have a Fellow, resident or student observing during your visit if you don’t object), and serve on the editorial boards of my profession’s two major specialty surgical journals. Feel free to request any of the articles I’ve written. The academic journal articles are also listed under “about Dr. Saxena” are also available through PAMF’s Library and "Medline". I do give periodic free lectures to the community (Palo Alto Run Club) and for corporations (Google, Nike). Due to my background , training, and experiences from treating some of the world’s best athletes (both surgically and non-surgically) I feel I am uniquely qualified to getting you back on your feet. I look forward to helping you with your foot, ankle and related problems. 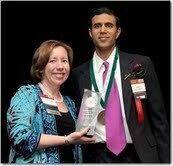 For his efforts, Amol Saxena, DPM has been awarded the 2004 California Podiatric Medical Association Humanitarian of the Year. You can now purchase books I recommend directly from Amazon.com. See my recommended list.